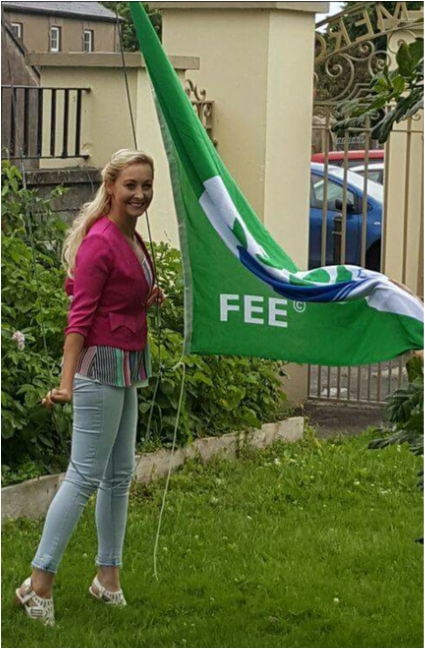 7th green flag. 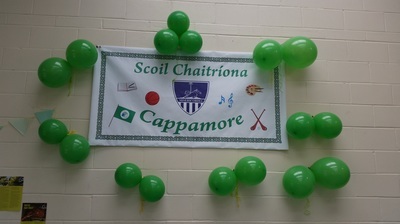 All the children and teachers worked very hard all year to achieve this flag. 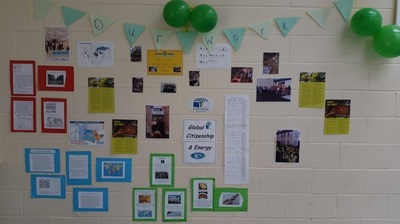 We are proud to be a green school and to promote environmental awareness in our homes, school, local community and across the world. 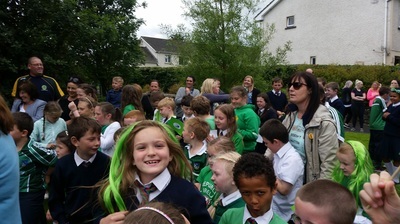 A huge thank you to Emma O' Driscoll for coming to raise the flag for us. 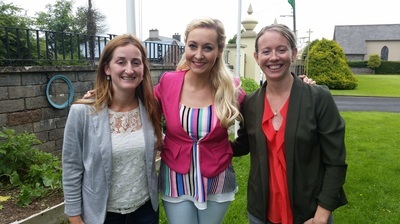 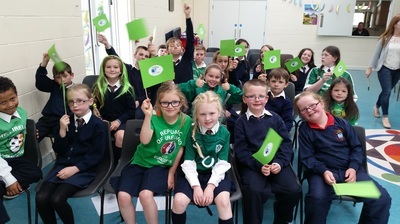 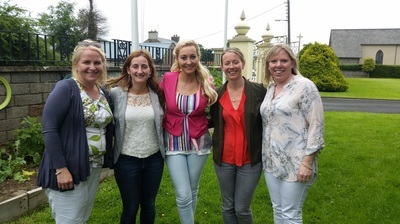 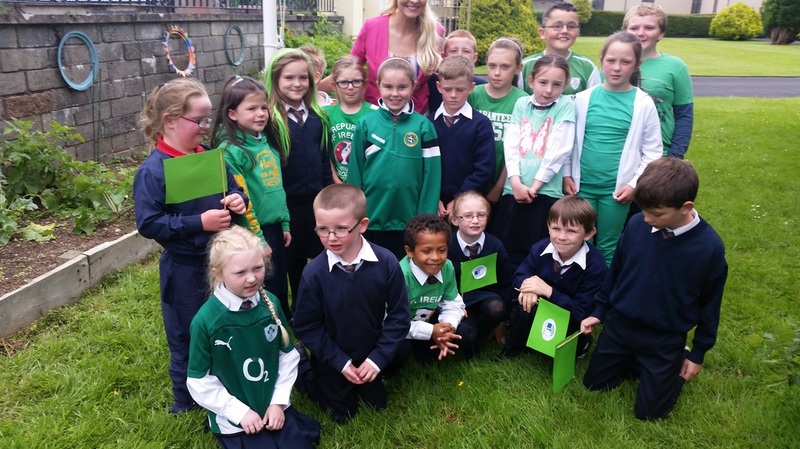 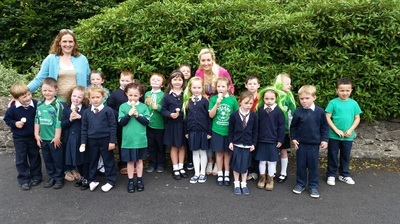 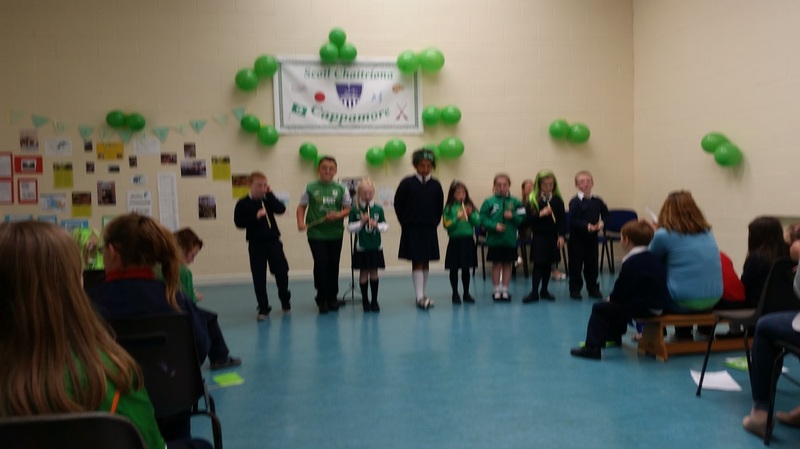 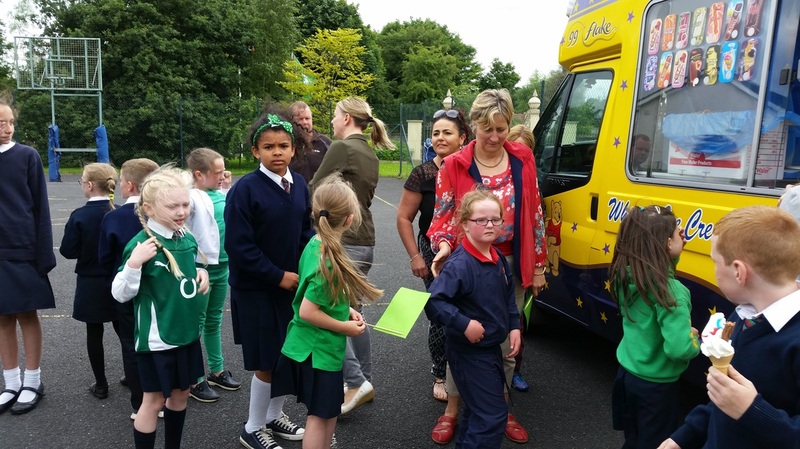 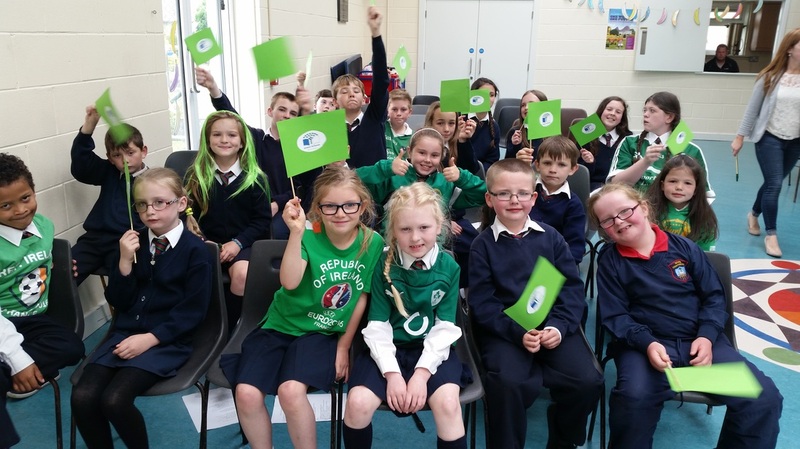 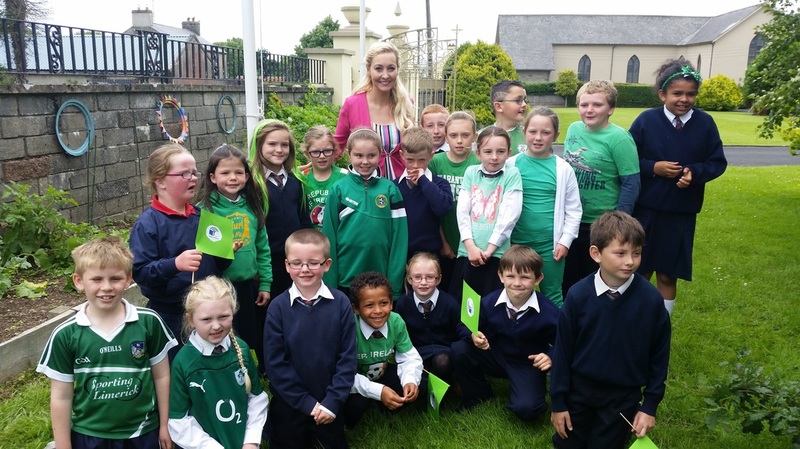 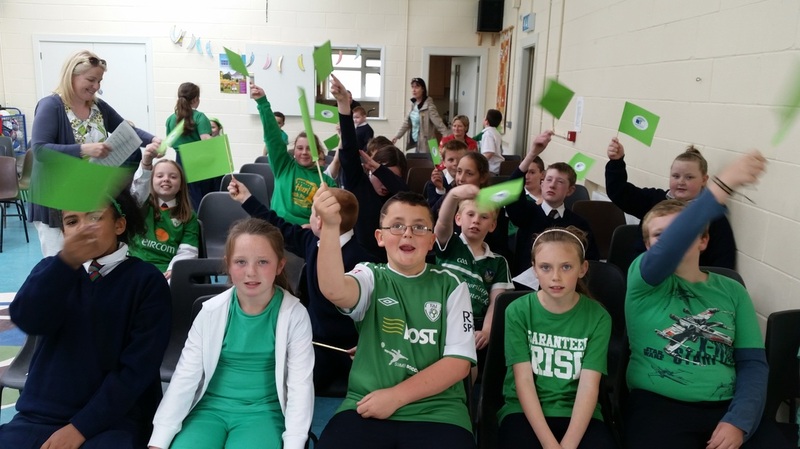 As part of the Green Schools initiative the Fourth, Fifth and Sixth class students wrote, performed, recorded and produced a song and video to raise awareness of the damage that microbeads are doing to our marine environment. 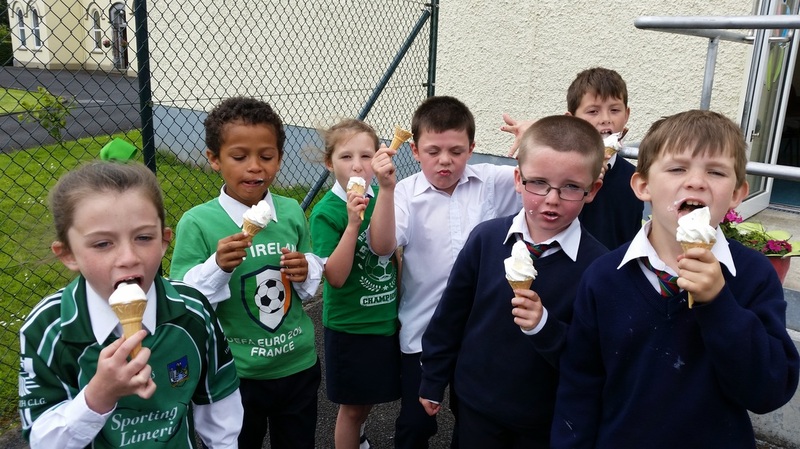 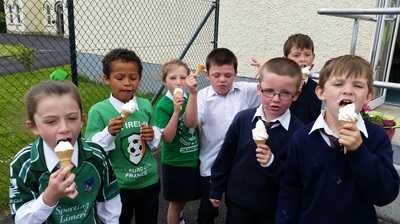 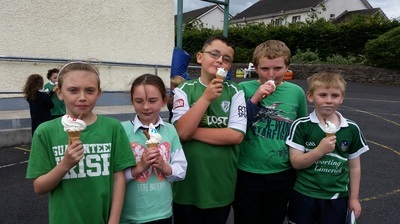 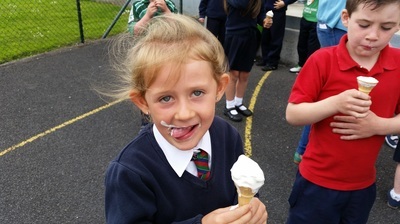 The video was edited by Conor Sullivan in Fourth Class. 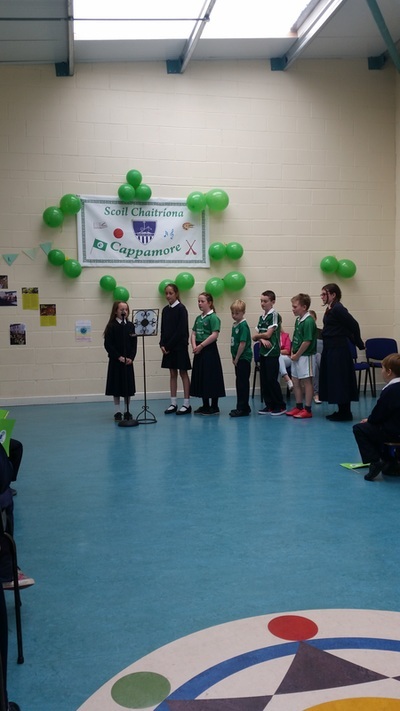 This video can be seen on the Scoil Chaitríona you tube channel. We hope you enjoy the video.